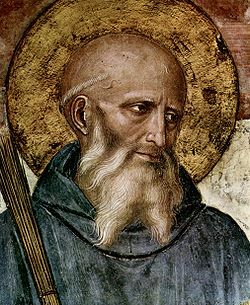 He points out that the importance to Western culture of St Benedict’s Rule – though often overlooked today – lies in its having generated a number of profoundly important ideas which still shape our flawed but continuing attempts to live in a civilised manner with one another. Do read this post, revisit these ideas, and realise how key thinkers still reach deeply into our lives, shaping them, from what we tend to regard as the distant past…. This entry was posted in 03 - Brilliant Posts! - May 2013 on, 04 - New Posts: October 2012 onwards and tagged Benedict, Benedict of Nursia, Benedictine, Christian, Creative Commons, Rule of Saint Benedict, Western culture, Wordpress. Bookmark the permalink.